When I first laid eyes on these gorgeous cakes by Rora Does Cake, I couldn't get over how breathtakingly unique they were. The detailing is so intricate and unusual, at first I thought they were inspired by lace patterns. After a little bit of research, I discovered that they were actually created using henna techniques, and it all started to make sense! It really is a great method to use as design element. 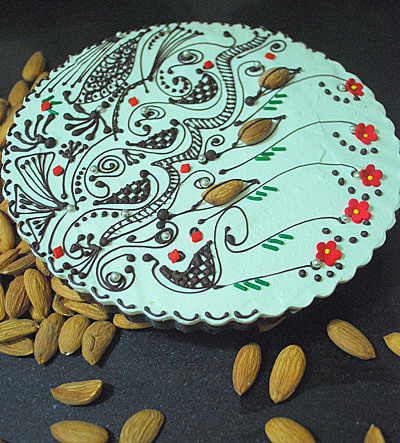 The cake sort of becomes a blank canvas, making even the most ordinary dessert feel special! Oh my god! These are an amazing find. They are gorgeous. Thanks for sharing. Those first cakes in particular, are simply amazing! 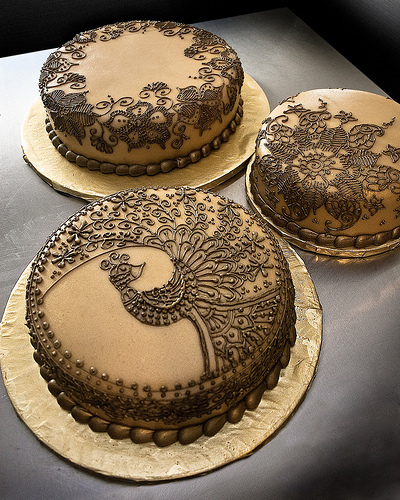 Those cakes just took my breath away... 3-D henna design is spectacular.. amazing job! Simply Stunning! Love love love! These are all absolutely beautiful!!! STUNNING! What a smart idea! This is absolutely beautiful and breathe taking! Being an Indian, I love Henna any time of the year. 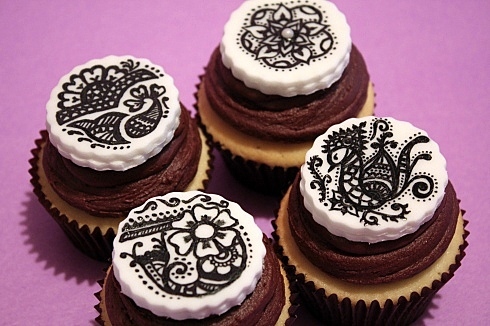 This new Henna avatar on cakes is new to me, soo intuitive though. They just look stunningly uber-cool! and I love it. Just wonder how long it took you to make those intricate patterns (without erring i.e.)? That has got to be one of the most beautiful designs I have ever seen!! I don't even know what to say! WOW...that looks exotic! Well done. Wow. Those cakes are so amazing and so tempting. Those cakes just took my breath away. I am loving it. Thanks for sharing with us.